I really hope you have all of your holiday shopping done. Because I just went to Target. It felt like my Black Friday (that I somehow was convinced to participate in) nightmare all over again. Never again. Maybe it’s that I get overwhelmed with swarms of people, feel claustrophobic when waiting in line and can’t stand when people are in my bubble. And what’s with people being so rude? It’s the holiday season for pete’s sake! Place candies on prepared baking sheet. Bake for 5-7 minutes or until soft. 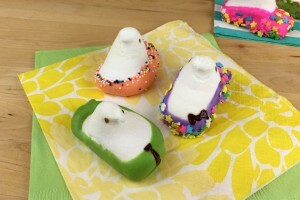 Remove from oven and use the back of a spoon to press candies flat. Cool. 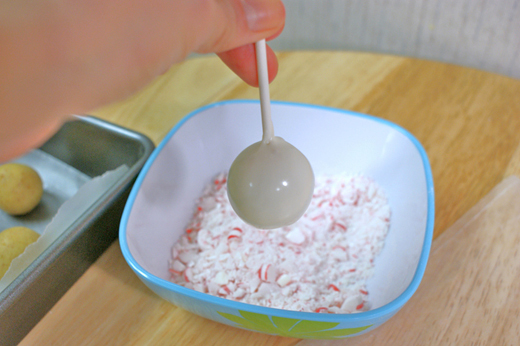 Place crushed peppermint (not the pretty ones you’ve already flattened) in a bowl. 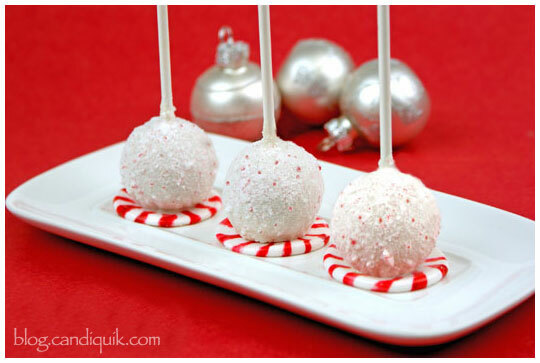 You can then sprinkle it on the cake pop after it is dipped in the Vanilla CandiQuik. 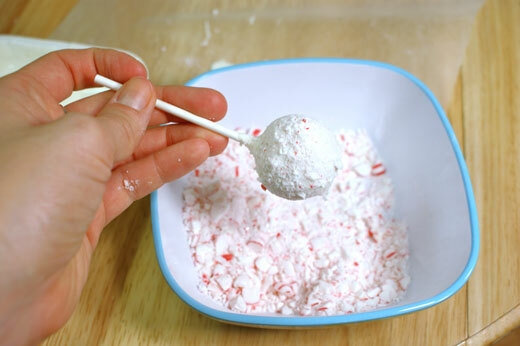 Allow excess coating to drip off so it doesn’t drip everywhere in the crushed peppermints; cover cake pop in the crushed peppermints and place on wax paper to set. If the coating is still dripping off after you set it on the wax paper, you can pick it up and reposition it to eliminate excess coating on the bottom. 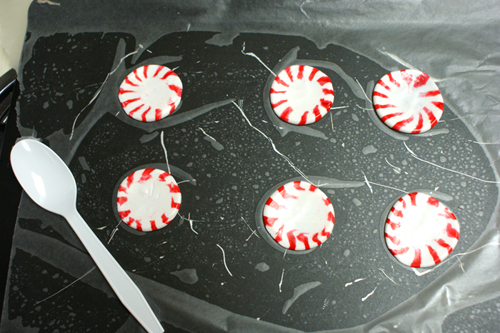 Once set, use a dab of coating to attach cake pops to peppermint disks. 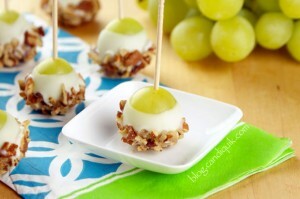 Roll mixture into 1” sized balls; place on a wax paper covered baking sheet. 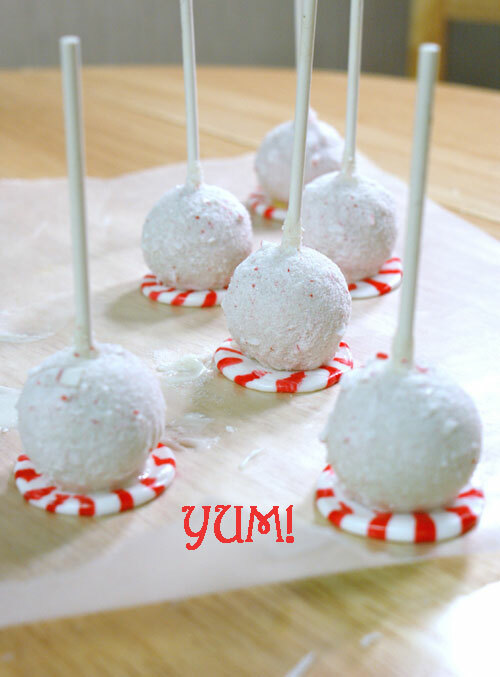 Insert a lollipop stick into each cake ball. Melt Vanilla CANDIQUIK Coating according to directions on package. 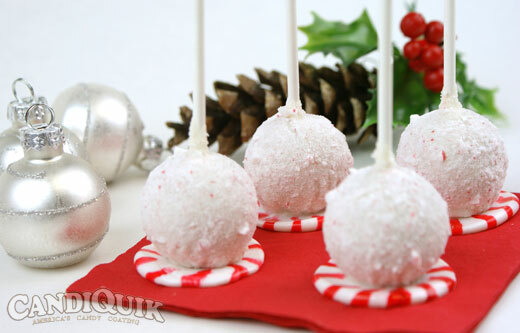 Dip cake pops in melted CANDIQUIK®, coating completely and allow excess coating to drip off; dip cake pops in crushed peppermints and place on wax paper to set. 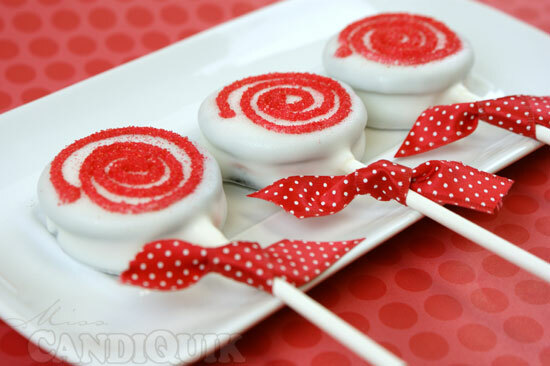 Once set, use a dab of CANDIQUIK® to attach cake pops to peppermint disks. 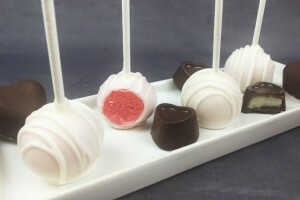 If cake balls start to fall off the stick while being dipped, place remaining cake balls in the refrigerator for an additional 20-30 minutes. The shell that the crushed peppermints created was even better than expected! 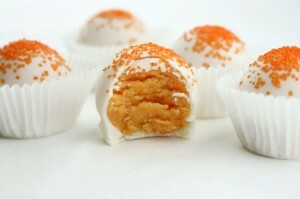 It was a perfect vanilla-pepperminty “crunch” before your teeth sink into the cake ball. 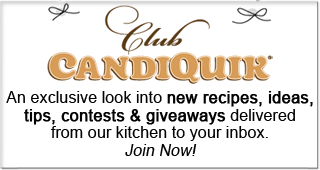 Merry Christmas, happy holidays & happy baking! P.S. 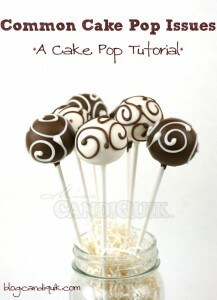 If you’ve never made cake pops, click here for my Cake Pop Tutorial! Awesome. 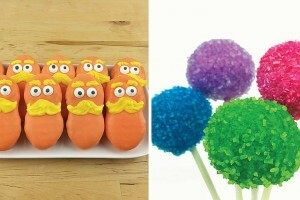 Your cakpops are beauties! Thanks for sharing.